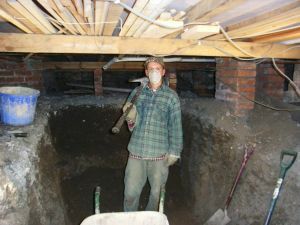 This page offers guidance on major home renovation costs, based on real data from our projects over the past 14 years. Figures shown are VAT exclusive so you would need to add VAT at the prevailing rate. 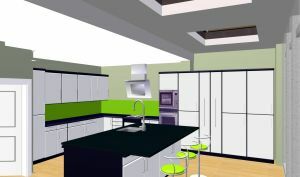 Project management and any of our design work is also excluded. We’ve brought older figures up to January 2016 economic conditions (unless otherwise stated) by applying an annual inflation factor of 3.5%. However, we should point out that, since the EU Referendum, we’ve seen prices increase in some areas (construction, kitchens and bathrooms, and other products) by around 15-20%. 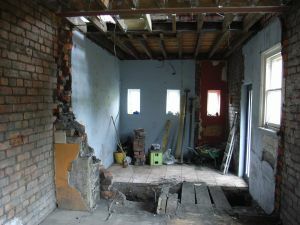 You will need to take this into account when considering your project in current economic conditions. 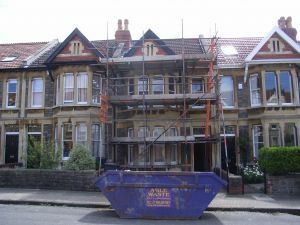 We’ve written separately on this in our blog concerning the impact of Brexit on home renovation. 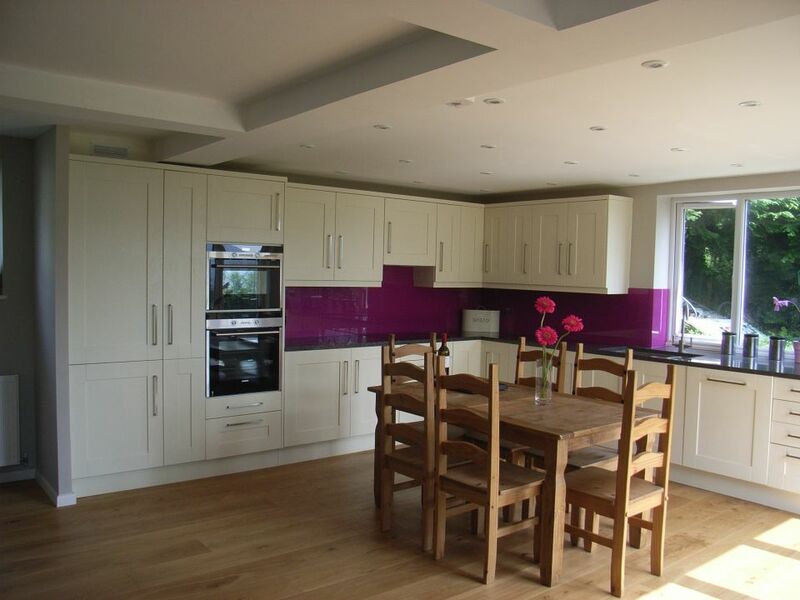 Whilst it is important for you to see major home renovation costs, it is equally important to understand how you can control those costs. 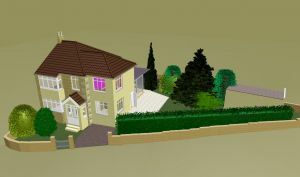 We spend significant time planning and preparing to make sure that total costs are known before our clients commit to a project; we then manage cost closely. 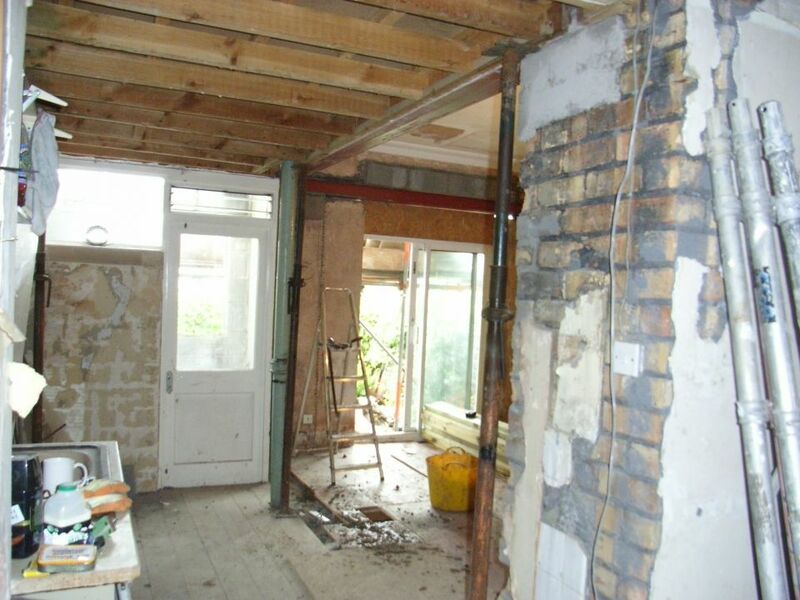 To explain how we do this, we’ve provided further links at the foot of this page to our guides on how to renovate a home successfully. They explore the factors that affect cost and how you can avoid cost increases as the project proceeds. We hope you find these helpful. We designed and delivered all of what follows, unless otherwise stated. 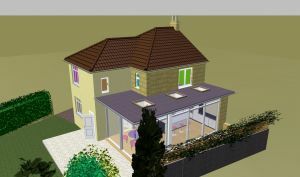 This included facilitation of planning permission, building regulations, and party wall agreements. 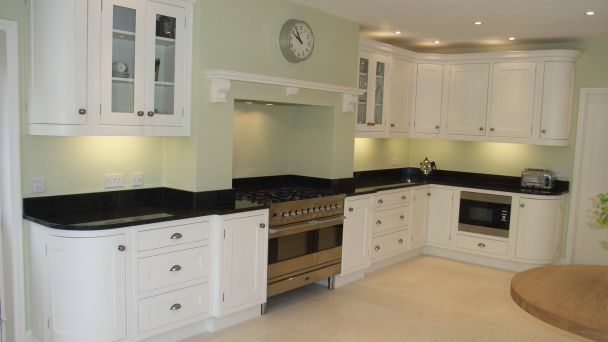 We produced designs for all the projects and oversaw contractors and trades. 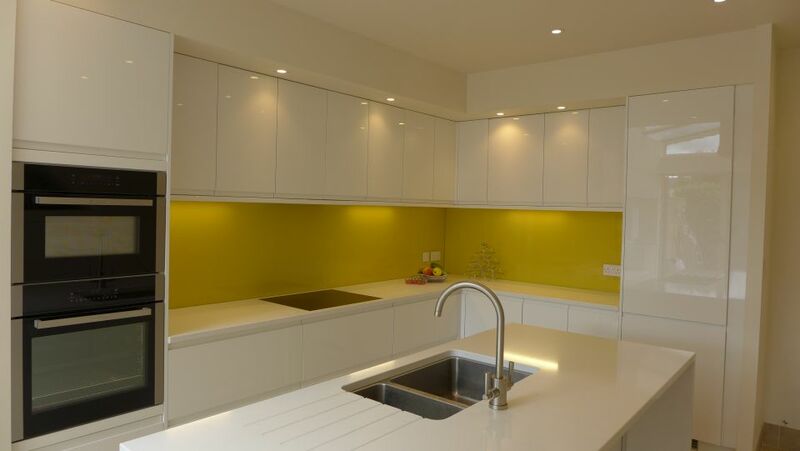 We also sourced all the fixtures and fittings: kitchens, bathrooms, floors and so on. 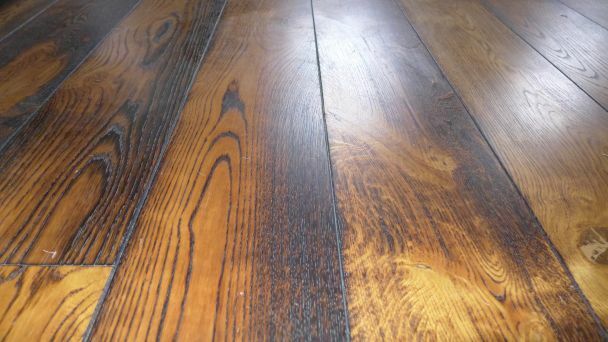 Separately, you can read more on our home renovation and interior design service. 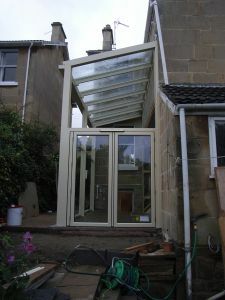 Here is the extension nearing its finishing stages. and below is an internal view … The main horizontal steel is visible here because other steels already existed below ceiling level (usually we plan to lose the steel in the ceiling space to create a perfectly flat ceiling). This main steel shows the line of the original building through which we extended. 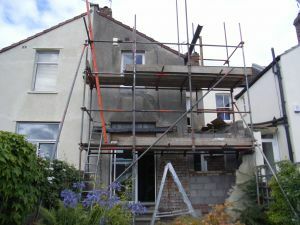 You can see how a detailed description and more photographs of this house undergoing renovation on our page entitled two storey extension. 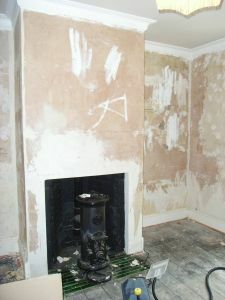 Also, to ensure that you cover everything in your home renovation project, you may enjoy reading our guide to property renovation. 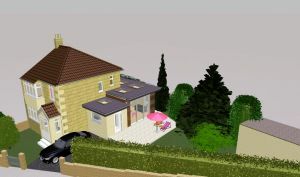 For a documentary record of this project, please read our page on the side return extension. 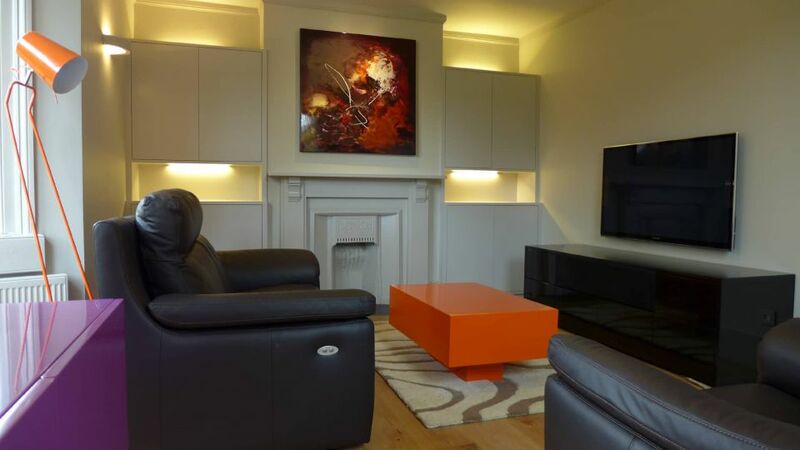 It was carried out in conjunction with the basement conversion described below. 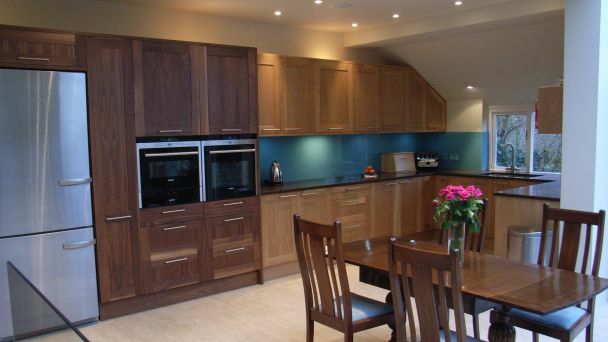 We have also produced a guide on the technical steps to house renovation; if you are interested in how to design a kitchen, you might also care to see our kitchen design guide. 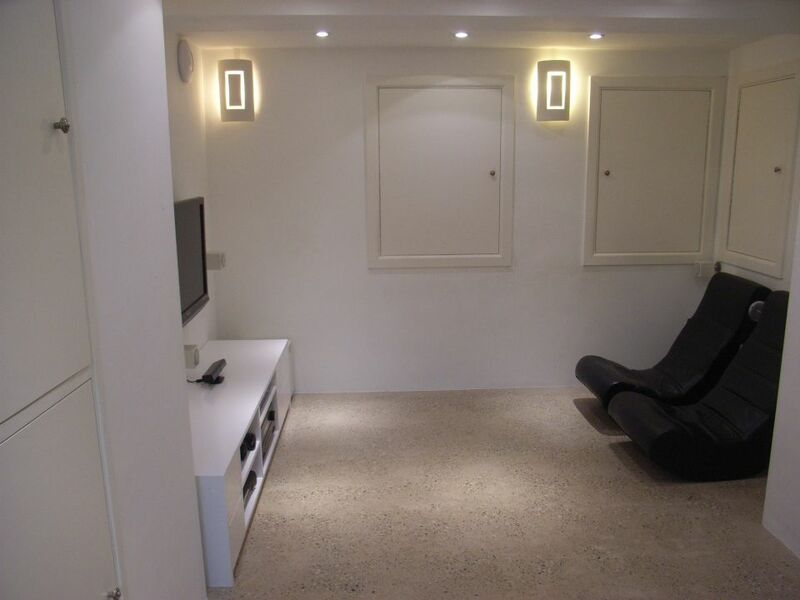 You can read more about this basement conversion along with our blog on how to convert a basement. 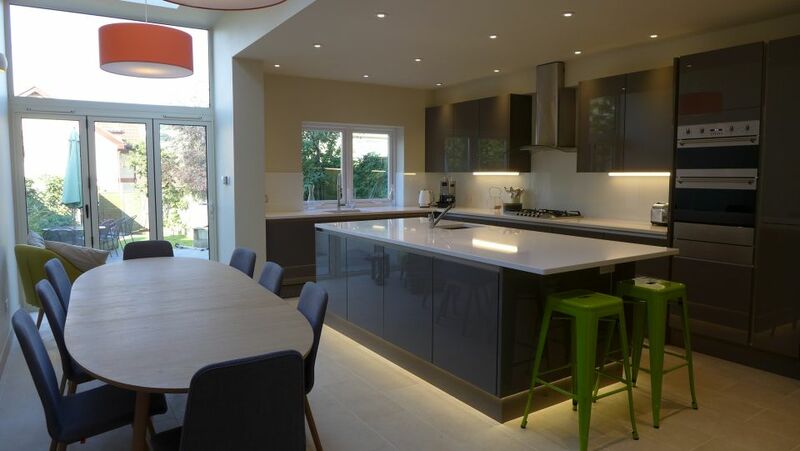 We built 2 neighbours’ extensions creating two open-plan kitchen diners, one with a utility. 4 tenders were received. 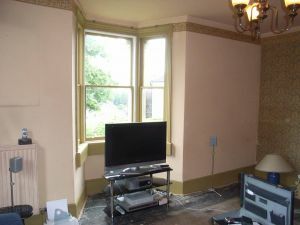 Total prices for both were similar; one neighbour required more work, but the other preferred more expensive fittings. 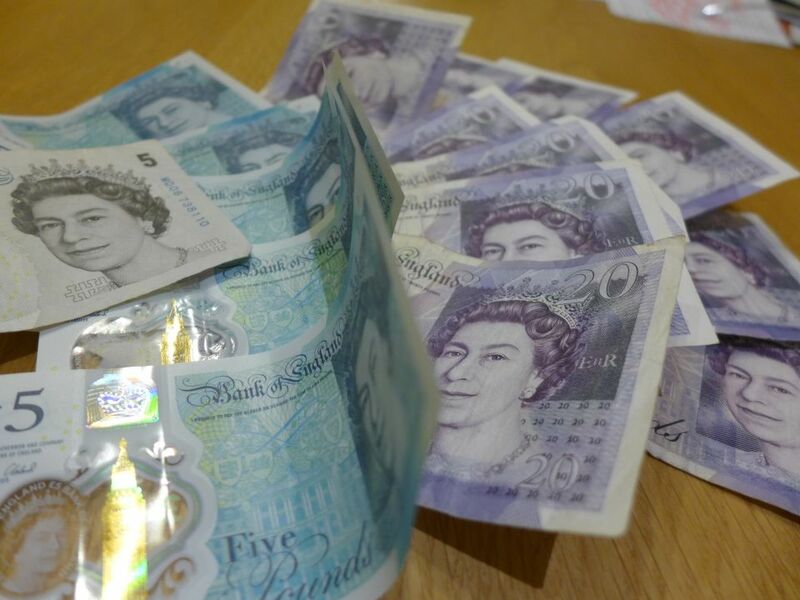 Economy of scale saved each client around 10% of the construction and statutory costs. 50% was saved on Project Management. Note – from the 4 tenders, the highest price was around 20% over the price shown above. Note – from the 4 tenders, the highest price was around 25% over the price shown above. 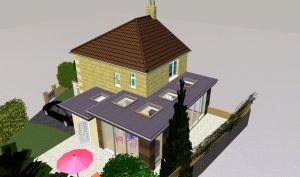 You can read a documentary on this project under the heading side return extension. 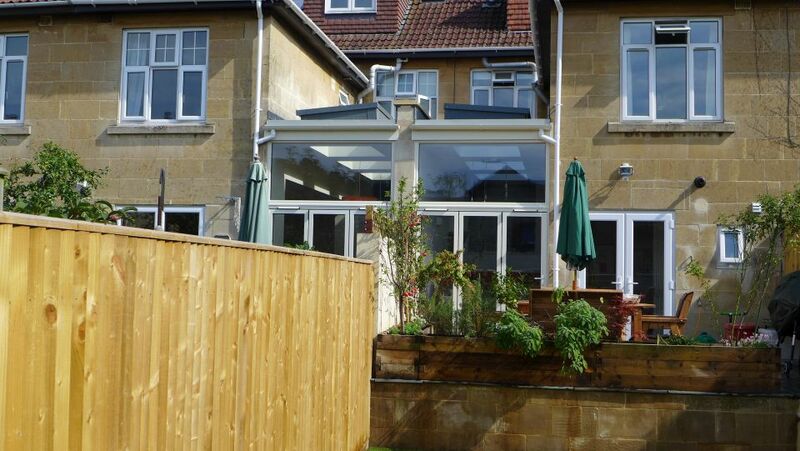 Read more about this full house renovation in Bristol. 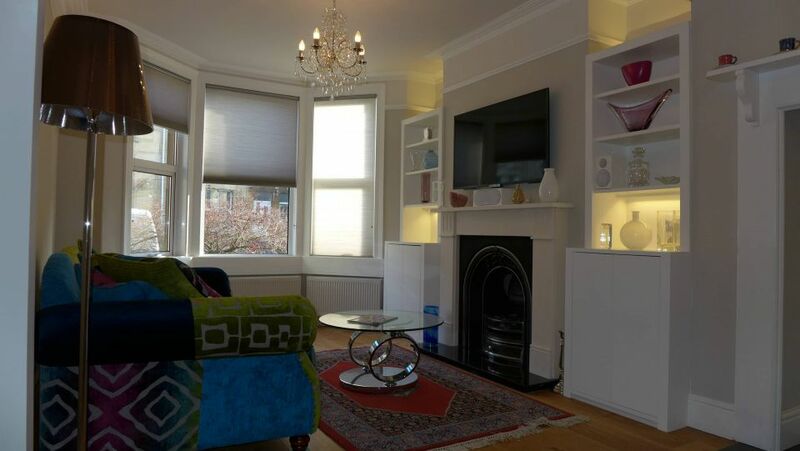 3 Bed Edwardian House Renovation (typical British terrace house with bedroom 4 in loft) – complete renovation (inc. new flooring, bathroom, create en-suite for existing loft room) – except for kitchen. 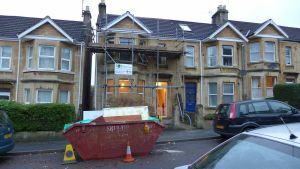 We’ve recorded more information about this house renovation in Bath. 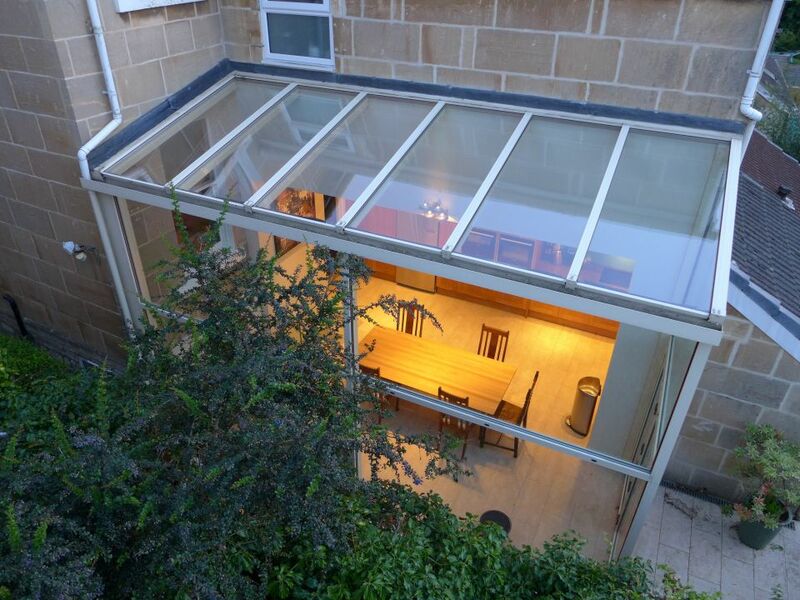 Here you can read more about this Victorian house renovation in Bath. 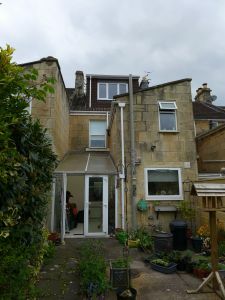 We’ve produced a detailed page where you can read more about this knock through kitchen extension in Bath. 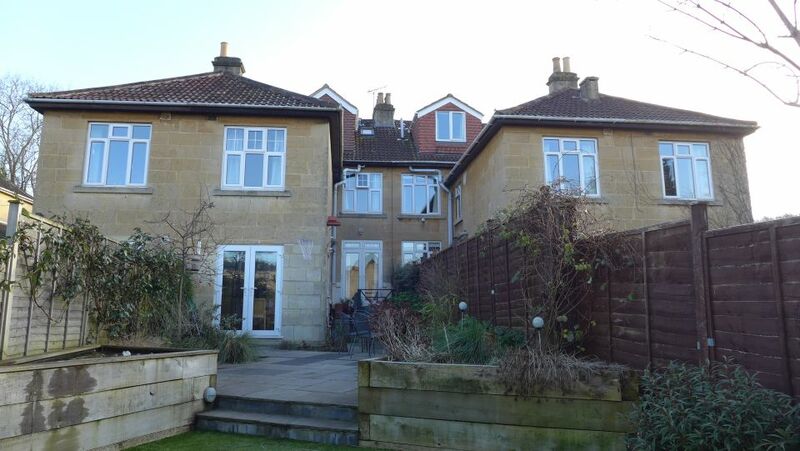 Total (including building work, new roof, floor slab etc) – £110 000 basic construction and building work; £150 000 including en-suite and kitchen. 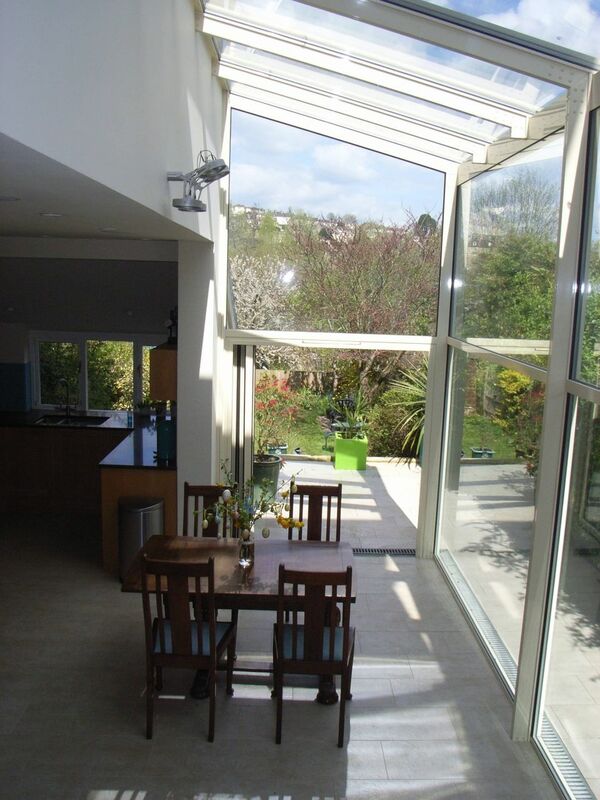 We hope you’ve found these indicative costs from real projects informative. 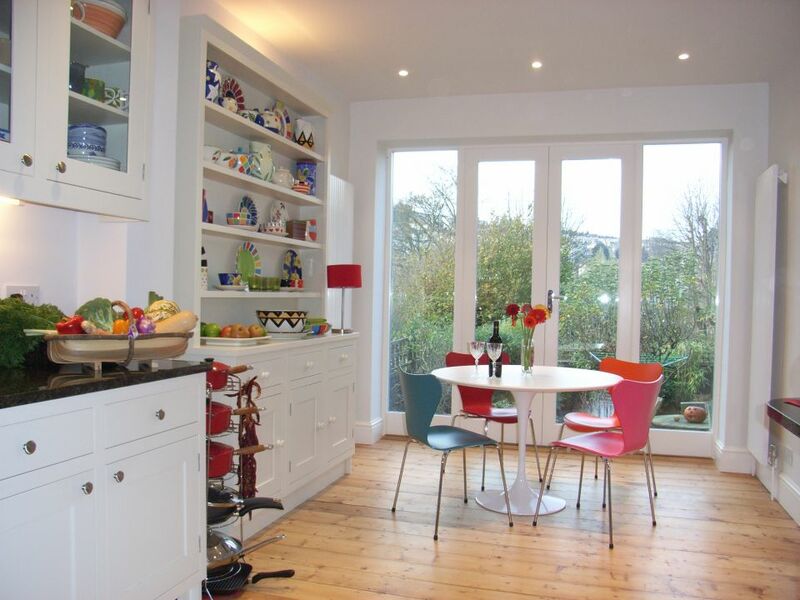 In our experience they help clients to budget more carefully and to enter into renovations with their eyes open. As we said at the top, the final cost is influenced by factors including management of the renovation from start to finish. 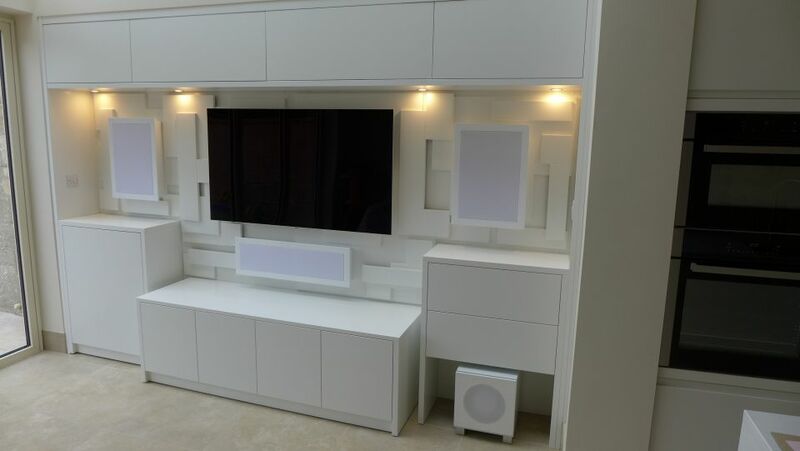 For instance, we spend a lot of time getting the design and specification right – if you don’t, then you run the risk of significant cost overruns. 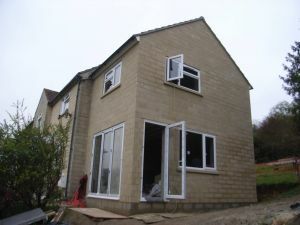 To help you manage your renovation successfully and control the cost, we’ve included the following guides which we hope you find helpful. 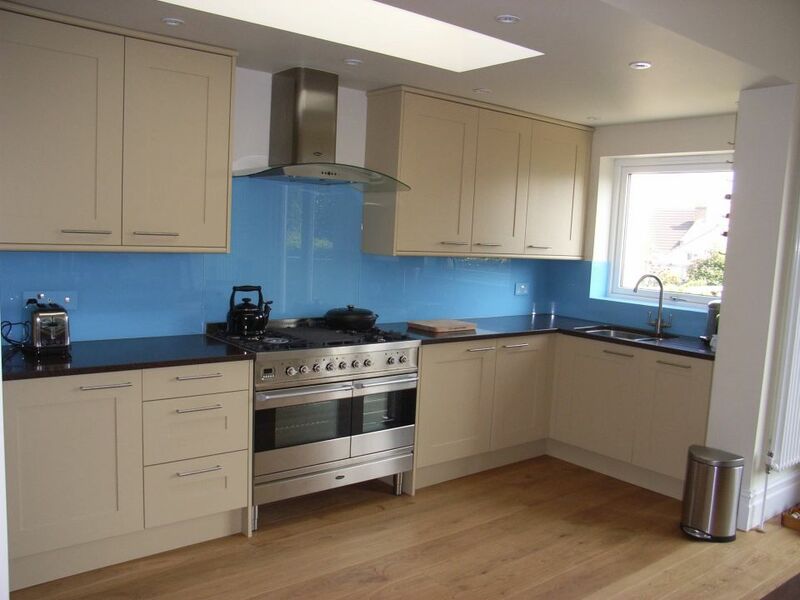 We offer more advice for successful home improvements in our various guides. Here are some links. 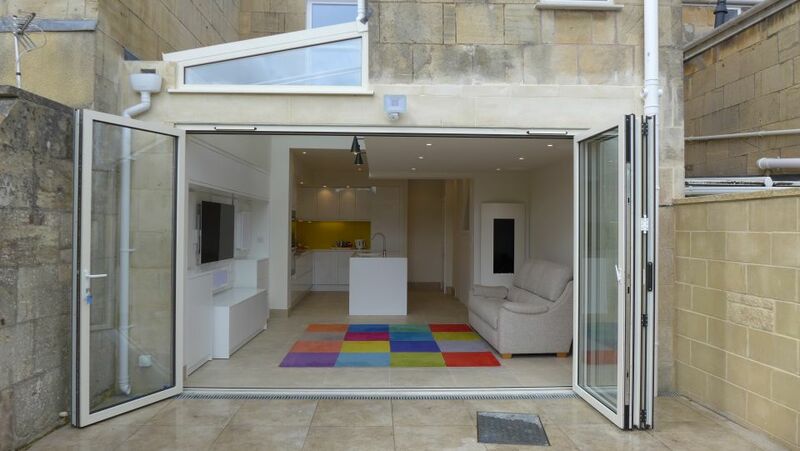 We also provide a planning applications service for major projects in Bath, as well as engaging structural engineers and architects in producing building control and construction drawings.